The Blue Dash series AMGenerals or the 'double-digits" as some called them was order of 30 AMGenerals for use on the Blue Dash express routes from South Dade. They were actually part of a 140 bus order from American Motors, 110 for city use and 30 for express. These buses differed from the city versions only in the interior. They came with cushioned seats and carpetting and the front dash and driver's compartment were painted white instead of flat blue. Bus number 60 was fire damaged and rebuilt. When it was rebuilt, it was done to city specs with hard plastic seats. In 1984, Metrorail opened and the Blue Dash express routes were discontinued. The 'double-digits" were then pressed into city service. In 1985, their heavily vandalized seats were re-upholstered in blue and the dirty carpetting removed. Due to their low mileage, twenty-eight of these coaches were kept in service until 1990 when the 9000 series Flxibles replaced them. 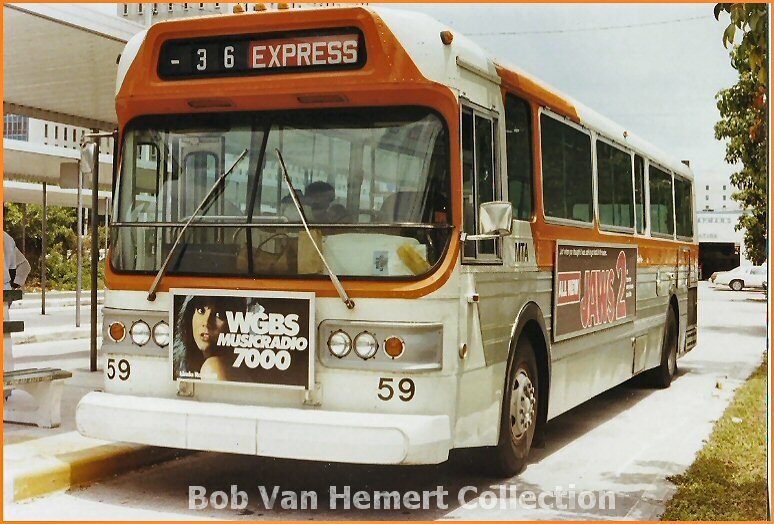 Bus # 50 in city use on Route 72 at Miller Square. Bus 56 on the 43 Express to West Kendall. 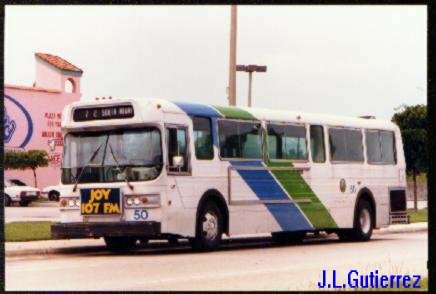 Bus 51 on the north terminus of Route 58 that travelled between the Omni Mall and Coral Gables. The Coral Gables section of the route was once the "Flagler/Granada/Country Club" route. Bus number 32 at the factory. American Motors built these buses, but they are actually a Flyer (now New Flyer) design.